No matter which type of theft crime you have been charged with, The Herbst Firm is committed to providing you with effective and aggressive representation. Regardless of whether it’s a shoplifting charge with a value of less than $100, or an employee theft scheme in the thousands, our main goals are always to avoid jail time at all costs, and to avoid a conviction at all costs. Being charged with any type of crime is a stressful and embarrassing experience, but having the right lawyer can make all the difference in the world. A great lawyer will help you put the case behind you, so you can move on with your life and never look back, and this is exactly what we aim to do. 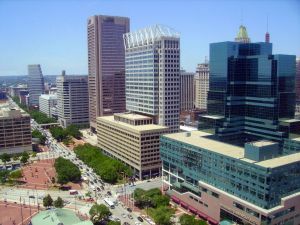 Benjamin Herbst has represented hundreds of clients charged with crimes in the Baltimore area such as theft $1,000 to $10,000, and also misdemeanor theft less than $1,000. He has dealt with shoplifting cases from stores such as Macy’s, Target, and Walmart, and also employee theft from stores and restaurants like Starbucks and McDonald’s. In some cases his clients were completely exonerated and in others a mutually beneficially plea agreement was reached. But in all cases there was no stone left unturned in order to reach the best possible resolution. Regardless of whether you or a loved one is facing charges in Baltimore City, or in the County Benjamin has the experience and skill to fight for you. And he is available 24 hours a day, 7 days a week to all of his clients. In fact, all clients are given Benjamin’s cell phone number, because he knows how frustrating it is to not be able to get in touch with your lawyer. Our entire office is accessible and available, so our clients are never left out in the cold.